A few important facts to help you decide, if this is where you would like to buy property for living all the year, or just for holidays. To start with, the World Health Organization (WHO) regards this part of Spain, as "THE!" most health climate in the whole of Europe, in which to live. Torrevieja Beach's hold the coveted "Blue Flag" award, also the towns drinking water, quality and supply, is among the best to be found on all the costas. 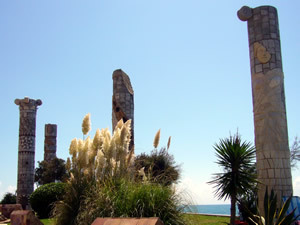 In Roman times, Torrevieja was well-known for its outstanding sea port, the remains of which can still be seen in La Mata, called the embarcadero romano, or Roman docks. Along the coast are the ancient watchtowers called El Moro and La Mata, which were used in the middle ages, to warn the coastal inhabitants of attacks by Barbary pirates. 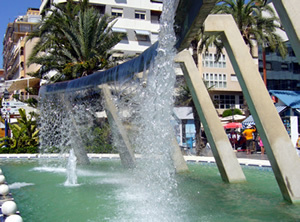 As with most other Spanish towns and cities, Torrevieja is no different in that it celebrates many festive events. The Torrevieja festive calendar starts in February with the sounds of Carnivals, heralding in the Spring. 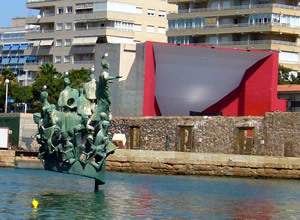 In summer, there are outdoor parties and processions, especially on 16 July, the feast day of Our Lady of Carmelo, the patron saint of sailors, with a traditional sea and land procession. The taste of the sea is reflected in local gastronomy, which makes ample use of fish and seafood, in combination with produce from local market gardens. Before tourism, the manufacture of salt was an important industry, employing many people. The salt was produced in the two vast lagoons around Torrevieja. These lagoons now attract a large amount of bird life, including flamingos and herons. Though still a commercial enterprise, it is never the less regarded as an important heritage site and has been further developed by the town council, with long walkways and beautifully constructed hides. On taking one of these walks, you forget how close you are to a busy costal town. The most characteristic feature of local craftsmanship are the models of the boats used to transport salt in the marshes. Boat builders take their creations to the edge of the salt flats, where they are left to collect the bright glaze of the local salt, before being offered for sale as souvenirs. 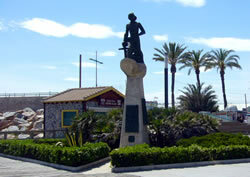 Torrevieja is famous for its salt, being the largest salt producing area in Europe. Vast lakes are used to evaporate sea water so the salt may be reclaimed. Visitors can take a tour around this fascinating process or bathe in the waters of the lagoon, which it is claimed give curative properties and are especially recommended for heart troubles, rheumatism or respiratory ailments. 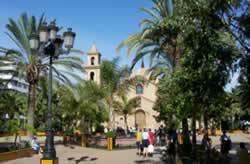 Spain is famous for its street markets and Torrevieja claims to have the biggest. Here you will find everything from fresh produce, clothing and shoes, watches, binoculars and just about everything you could imagine. However, if you are looking for a real bargain, be prepared to haggle for everything. During the day, enjoy the sea and the sun along the beautiful beaches which are thoroughly cleaned every day and many of which have gained recognition from the EEC for their cleanliness. In the evenings, you can view the market stalls for local craftsmanship near the Port. Night-time is the right time for enjoying local discos, pubs and cafés.With few hotels, Torrevieja suffers none of the problems associated with the mass tourist market and remains safe and orderly throughout the year. 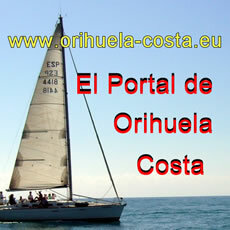 Such are the facilities in Torrevieja that many Spaniards choose the town for their own holidays. With its own special atmosphere, Torrevieja continues to grow in popularity as the place to be among property owning foreigners. The towns infrastructure is all that you would want and expect from a modern town in the year 2016, but in addition to that, the town boasts a just completed sports complex, which houses an olympic sized swimming pool, with seating for four thousand people. Also recently built, a magnificent "Paseo", or walk way on top of what used to be the old harbour mole. The walk, approx one mile (which is beautifully lit at night), gives marvelous views of the town front, the large fishing fleet and harbour, also views of one of the largest Yachting Marina of the coast. For the music minded there is also a grand music academy, again recently built, where music concerts of all tastes are held. Many of these concerts can be visited free of charge, because of the town hall's enlightened attitude to arts. These are just a few of the reasons you might want to live in Torrevieja, there are many more that you would soon discover when living here and because this town council has a policy of continous improvement, "Things can only get better". 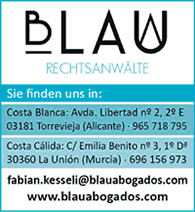 For those who choose to live in Torrevieja there is good news. The town enjoys an excellent municipal bus service, the quality of which really does mean that you can leave your car at home and not have to worry about parking problems. Operating regularly from most, if not all urbanisations, there are regular bus services running to and from town, all the main beaches and of course the many markets. The town council is very conscious of the environment, it is one of the ten most clean places in the whole of Spain and provides a free bus transport service to residents, in an effort to get people to leave their cars and pollution at home. Torrevieja is not only situated in a region described by the World Health Organisation as being environmentally perfect but has a host of entertainment and activities which will ensure that neither you nor your family will ever become bored. If you are looking for a holiday or retirement home location, which has more to offer than most - then welcome to Torrevieja.